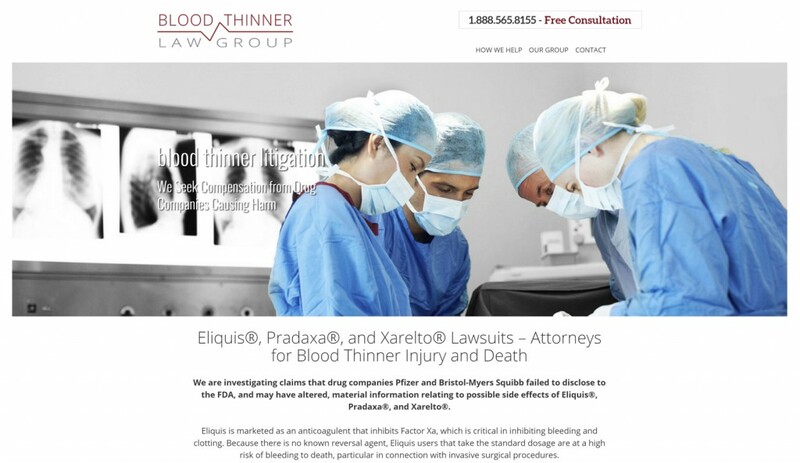 We are pleased to announce the launch of a new website for The Blood Thinner Law Group. The Blood Thinner Law Group is comprised of attorneys from Friedlander & Friedlander, PC, and the Keuhner Law Firm, PLLC. The Group is committed to obtaining full and fair compensation to individuals and the families of those who have been injured or have died from taking blood thinner medication.